Fully double flowering yellow ranunculus. 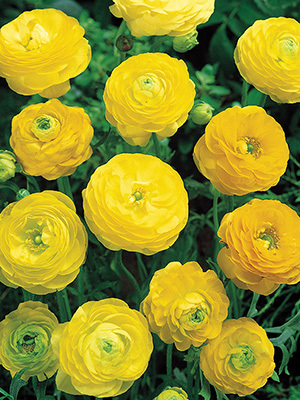 Vibrant yellow petals will create a spectacular sunny show in your garden. Size 4/5, minimum order 25 tubers.